Darlene Ceglia began dancing at the age of three at the Betty Rogers School under the tutelage of Miss Betty and Miss Joyce Ferranto. By age eight she joined her cousin, teacher/choreographer Sam Fiorello’s Debonaire Dance Studio where she trained for the next thirteen years. A gifted dancer and theatrical performer, Darlene left Buffalo at age twenty-one to train and perform in New York City. Things happened quickly as she landed a union job with Lee Theodore’s American Dance Machine, a company dedicated to the preservation of the American musical. She then moved on to become a member of Balletap USA under the direction of Maurice Hines and Mercedes Ellington. Her role with this innovative company afforded her the opportunity to work and perform with guest artists and choreographers such as Judith Jamison (Artistic Director of Alvin Ailey American Dance Theater), Carmen de Lavallade, the great Gregory Hines and Louis Johnson, to name a few. In addition to her company work, Darlene performed regularly in theater and appeared in network television specials, sharing the stage with stars like Aretha Franklin and Princess Grace of Monoco. Some career highlights include appearing at Broadway’s Beacon Theater with Bob Hope, Ertha Kitt, Peggy Lee and the Broadway cast of “Dreamgirls”; “Kiss Me Kate” starring Robert Goulet and the Maurice Hines Nightclub Review. In recent years, Darlene choreographed an MTV style commercial featuring eighty of her students for world renowned Roswell Park Cancer Institute highlighted by a live performance in front of 14,000 people for Roswell at KISSMASS Bash at First Niagara Center with Jason Derulo as well as choreographing and directing a lavish production for New Era Apparel in Las Vegas. Most recently, her work will be performed at the 2015 Taste of Country and for the Roswell ‘How Big is Your Heart’ campaign. The combination of having worked so closely with some of the true legends of dance, along with with the solid foundation she received in Buffalo, has helped to make Darlene’s style a favorite everywhere lovers of dance have seen her work. 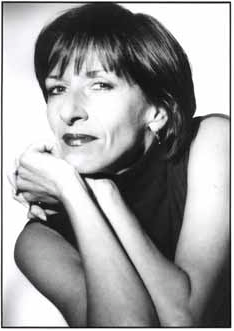 Since opening Darlene Ceglia’s Dance Project in 1992, her talent and dedication has not only afforded her students the finest dance training and wonderful performance opportunities, but she has lovingly imparted to them her passion for all aspects of the art of dance.